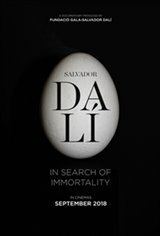 The documentary proposes an exhaustive journey through the life and work of Salvador Dalí, and also of Gala, his muse and collaborator. It starts in 1929, a crucial year in Dalí's career and life, as he joined the surrealist group and met Gala, and advances until the year of the artist's death in 1989. In all this vital and artistic journey, Dalí's geographies, especially Portlligat, stand out as the only stable home-workshop he possesses; Figueres, his hometown, where he creates his Dalí Theater-Museum, and Púbol, where the Castle is, exponent of courtly love, which Dalí gives to Gala. But naturally other cities, especially Paris and New York are also central.